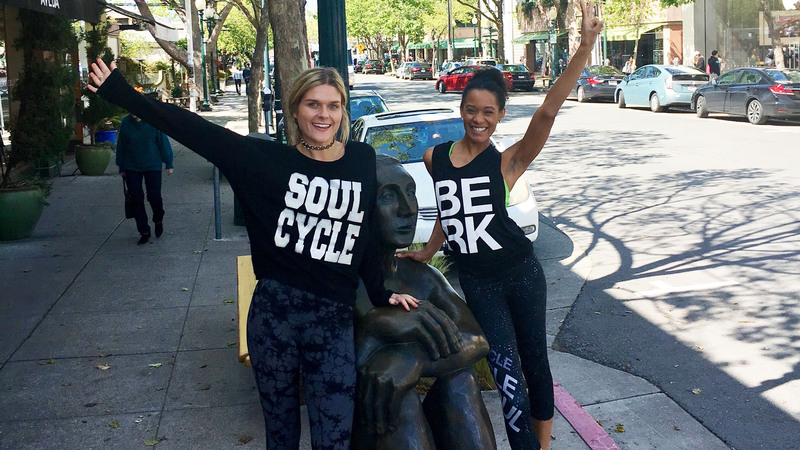 oulCycle helped rider and Assistant Studio Manager at BERK, TESSA ALTSHULER, learn to love her body. Read her story, ahead. I grew up with a critical eye and a need for perfection. I wanted to look perfect, have perfect grades and the perfect life in order to mask how I felt. My internal battle with what I considered to be perfect took over my entire life in high school as I developed an eating disorder. My whole world revolved around my body and my unattainable quest for perfection. As I neared college, I was forced to learn that the way I felt about myself had to change. The feelings of hate had to pass in order for me to move forward in life. I slowly inched toward recovery with setbacks of self-doubt and self-hate dangling in front of me. SoulCycle found me at the perfect time. I didn’t know it then, but looking back, I can confidently say that SOUL found me just when I needed it most. I was hired my junior year of college as front desk staff at MRIN. I remember how obsessed I was with every single aspect of the job — I didn’t want to be anywhere else. I lived for my managers and the rest of the staff, who made me feel capable of more, proud of myself, and kept me laughing 24/7. I was inspired by the body positivity of the instructors, specifically JENNY, who totally changed the game for me in how I viewed my own self-worth. Everyone around me at SoulCycle spoke of self-love and how thankful we should be for our bodies' abilities to move. Being in your own skin and moving through your day was more than enough. That's when it clicked for me: SOUL was where I needed to be permanently. 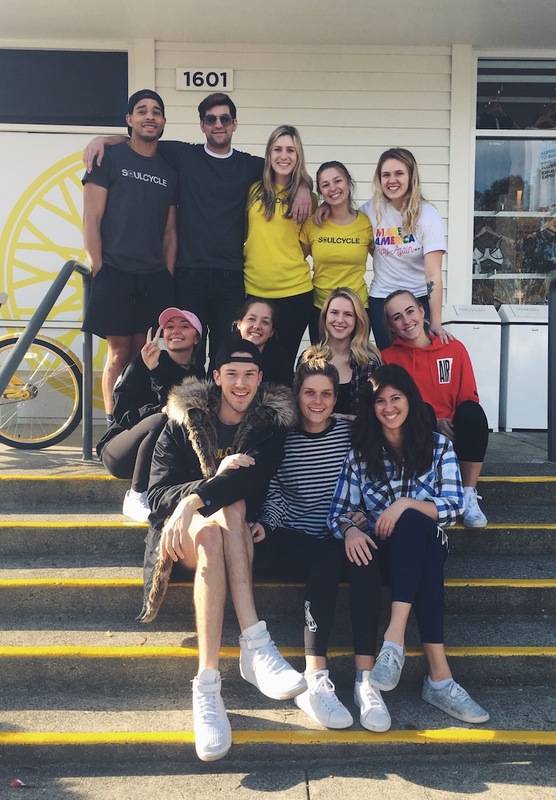 Looking back two-and-half years later, now working at SoulCycle full time, I can confidently say that every single day, this job contributes to my ongoing recovery and self-love. I’m reminded day in and day out to be thankful for my body and everything it can do, rather than hate it for what I used to believe it couldn’t. It’s easy to take for granted everything our bodies do for us every day. My body allows me to clean with my cleaning team, get down and dirty with my front desk squad, and take class and laugh uncontrollably with my Studio Manager, Tarah. If I wasn’t in the skin I’m in, I couldn’t do all of that. I'm forever thankful for SoulCycle for constantly reminding me just how lucky I am to have the physical job I do and the body that allows me to do it. This past spring, my mom had a stroke after being diagnosed with multiple sclerosis over 10 years ago. The love that you should have for your body meant even more after that. Through her own recovery back into movement, my mom vowed to never take her legs for granted again. This recommitted me. I promise never to talk down to my body, because I sure am lucky to have this body carrying me through life. In the end, I’m better off because of SoulCycle. Without this job constantly keeping me on my toes and a community that constantly keeps my heart full, I wouldn’t be where I am today.